A Big Step Forward for Campaign Building Projects! The Mad River Glen Cooperative recently took a big step forward in the planning for the two largest projects to be funded by the Preserve Our Paradise Campaign. The Board of Trustees approved the selection of two professional services firms to work on plans for the renovations to the Basebox and the Patrol Building. Vermont Integrated Architecture, P.C. has been selected review the two buildings and prepare conceptual drawings. Naylor & Breen Builders, Inc. has been selected to provide construction management services, including developing cost assessments and timelines. Both firms were selected after extensive review by the Cooperative Facilities Committee and General Manager Matt Lillard. The goal is to present conceptual designs at the Coop annual meeting on April 6. Congratulations to both firms and we look forward to seeing the conceptual designs for these two important projects! On January 29, Mad River Glen held its annual “Roll Back the Clock Day,” in which the day ticket price is rolled all the way back to the original 1949 price of $3.50 for a full day of skiing. Needless to say, this is a very popular promotion that draws many people new to the mountain. This year, skiers were given the option to round up their purchase with an optional donation to support the Preserve Our Paradise Campaign. We’re pleased to announce that a total of 210 donors gave $742.50 to the campaign! Thank you to all the folks who bumped their ticket purchase up in order to help preserve Mad River Glen! Don’t miss these two upcoming events! On Saturday, January 27, at 7:00 pm, there will be a huge bash to celebrate seven decades of memories at MRG. Live music featuring Rick Redington and the Luv. Dinner will be served, and there will be fireworks! Tickets are available. 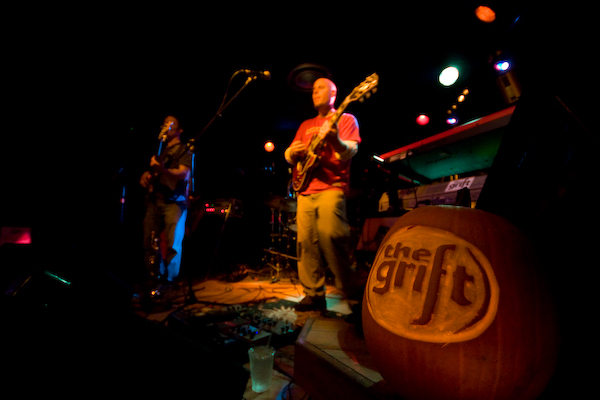 On Saturday, February 23, at 7:00 pm, The Grift, Vermont’s favorite aprés-ski band, will be rocking General Stark’s Pub. Give a $10 minimum donation at the door to support the Preserve Our Paradise campaign! Year end match generates $287,996 in donations! The final tally is in, and we’re proud to announce that our community donated a grand total of $287,996 towards the year-end match. Combined with the matching funds, that means well over half a million dollars were raised in just six weeks! The contributions came from 150 generous donors, with the last online contribution coming in at 11:55 pm, just five minutes before the deadline. The campaign has now raised a total of $4,262,578 towards the preservation of Mad River Glen. We’re getting closer to our goal of $6.5 million, but we now have our largest projects ahead of us. With the continued support of the Mad River Glen community, we’ll secure the future of this wonderful mountain for the next generation of dedicated Mad River skiers. We did it! We met the $250,000 match! We met the year end match! In just six weeks the Mad River Glen community came together and donated $250,000 to the Preserve Our Paradise Campaign. That means we tapped every single dollar of the $250,000 in matching funds! The donations are still being tallied and we will have a final total posted shortly. Our grateful thanks to all of our generous donors for supporting the future of Mad River Glen! Your support by April 30 will help us complete our most ambitious projects to preserve Mad River Glen. All donations doubled!